The Bariatric Shower Chair comes with a larger width between the armrests and a stronger and more durable frame that can support a safe working load of up to 250kg. Heavy Duty A-frame support- to ensure the frame can hold a high safe weight load. High Arms- To help support the user when sitting down into the chair or getting up out of it. 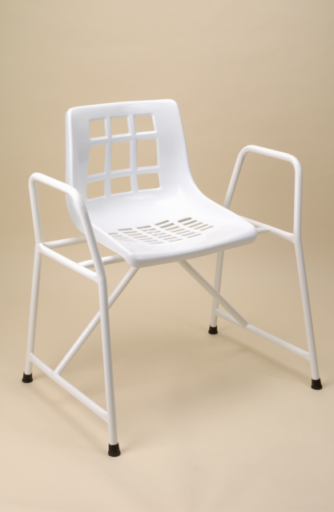 Powder Coated Steel frame- To make sure the shower chair is resistant to rusting.